Kahlúa, the number one coffee liqueur in the U.S. and hero ingredient in your favorite cult cocktails, brings consumers the next iteration of a classic with the launch of the Kahlúa Espresso Style Martini ready-to-drink (RTD) cocktail. Kahlúa Espresso Style Martini RTD is a twist on the classic Kahlúa cocktail made with coffee…and in a can. It’s the perfect blend of Kahlúa, coffee and Vodka, complete with the signature creamy foam reminiscent of a just-made Espresso Martini cocktail. How does it work? The unique can is fitted with a smart nitrogen widget, which forces bubbles to the surface as soon as the can is opened to form the distinctive creamy foam of the classic cocktail. To serve, pour into a glass and enjoy immediately (with a friend, of course). To help illustrate for consumers at-home, Kahlúa tapped in to the trend of ASMR (autonomous sensory meridian response) to create the Kahlúa ASMR-tini depicting the pop and foam intensity of the product. To celebrate the launch, Kahlúa is getting out of the glass and in front of the microphone with an ASMR-tini video to help consumers experience the pop and fizz that goes into every can. 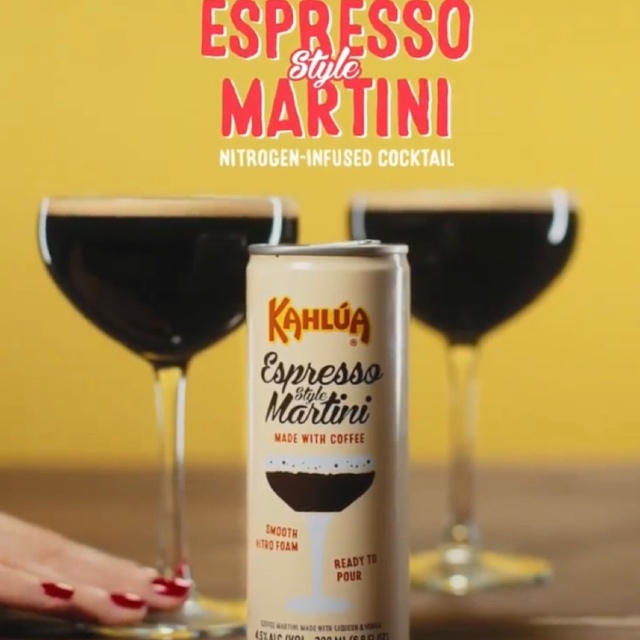 The Kahlúa Espresso Style Martini is launching nationwide at select retailers this Spring 2019. The Espresso Martini will be sold in packs of four and each can is 4.5% alcohol by volume (ABV). For more information about Kahlúa, please visit www.kahlua.com and check out Kahlúa on Facebook, Instagram, Twitter by following @Kahlua. Kahlúa ASMR-tini video and assets can be found via link here. Pernod Ricard USA is the premium spirits and wine company in the U.S., and the largest subsidiary of Paris, France-based Pernod Ricard SA, the world’s no. 2 in wines and spirits. The company’s leading spirits and wines include such prestigious brands as Absolut® Vodka, Chivas Regal® Scotch Whisky, The Glenlivet® Single Malt Scotch Whisky, Jameson® Irish Whiskey, Malibu®, Kahlúa® Liqueur, Beefeater® Gin, Seagram’s Extra Dry Gin®, Martell® Cognac, Hiram Walker® Liqueurs, Pernod®, Ricard® and Avión® Tequila; such superior wines as Jacob’s Creek®, Kenwood® Vineyards and Brancott Estate®; and such exquisite champagnes and sparkling wines as Perrier-Jouët® Champagne, G.H. Mumm™ Champagne and Mumm Napa® sparkling wines. Pernod Ricard USA is based in New York, New York, and has roughly 650 employees across the country. Pernod Ricard USA urges all adults to consume its products responsibly and has an active campaign to promote responsible drinking. For more information on this, please visit: www.responsibility.org. This entry was posted in Spirits and tagged 360, 360 Magazine, Absolut® Vodka, ASMR, ASMR-tini, Beefeater® Gin, Brancott Estate®, can, Chivas Regal® Scotch Whisky, cocktail, coffee, G.H. Mumm™ Champagne, Hiram Walker® Liqueurs, Jameson® Irish Whiskey, kahlua, Kahlúa Espresso Martini, Kahlúa® Liqueur, Kenwood® Vineyards, malibu, Martell® Cognac, Martini, nitrogen, Pernod®, Perrier-Jouët® Champagne, Ricard® and Avión® Tequila; such superior wines as Jacob's Creek®, Seagram’s® Extra Dry Gin, Tara McDonough, The Glenlivet® Single Malt Scotch Whisky, Troy Gorczyca, Vaughn Lowery, vodka on February 27, 2019 by wp360mag. During Super Bowl LIII, millions of fans watching at home experienced the rising popularity of ASMR – as demonstrated by Zoe Kravitz and Cardi B – in brand-new spots that debuted during the big game. Today on Fuse.tv, rapper, singer, and songwriter Dreezy joins the community of ASMR enthusiasts, as she speaks about her anthemic “Where Them $ @” track, her newly released project Big Dreez, her experience of being from Southside Chicago and her visit to Dreamville’s ‘Revenge of the Dreamers III’ recording sessions. The all-new episode of Fuse’s popular digital series Mind Massage posted today on Fuse.tv. Check out his Mind Massage interview below! Fuse’s Mind Massage features ASMR’s (autonomous sensory meridian responses) by some of your favorite hip hop stars as they chow down on their favorite foods and discuss their career, upbringing and more. Fans can check out new episodes from this digital series every week on fuse.tv. Past episodes include appearances by Lloyd, Mya, Dizzy Wright, Vic Mensa, Kodie Shane, Cipha Sounds, Danileigh, Tierra Whack, Diggy Simons, Madame Gandhi, among others. This entry was posted in Feature and tagged 360, 360 Magazine, anthemic, ASMR, Big Dreez, cardi b, career, Chicago, digital series, dreamville, dreezy, enthusiasts, experience, fuse, Fuse.tv, Global Society, hip hop, Interview, iTunes, Mind Massage, National Football League, NFL, rapper, Reid Urban, singer, songwriter, soundcloud, super bowl liii, upbringing, Vaughn Lowery, Zoe Kravitz on February 4, 2019 by wp360mag. 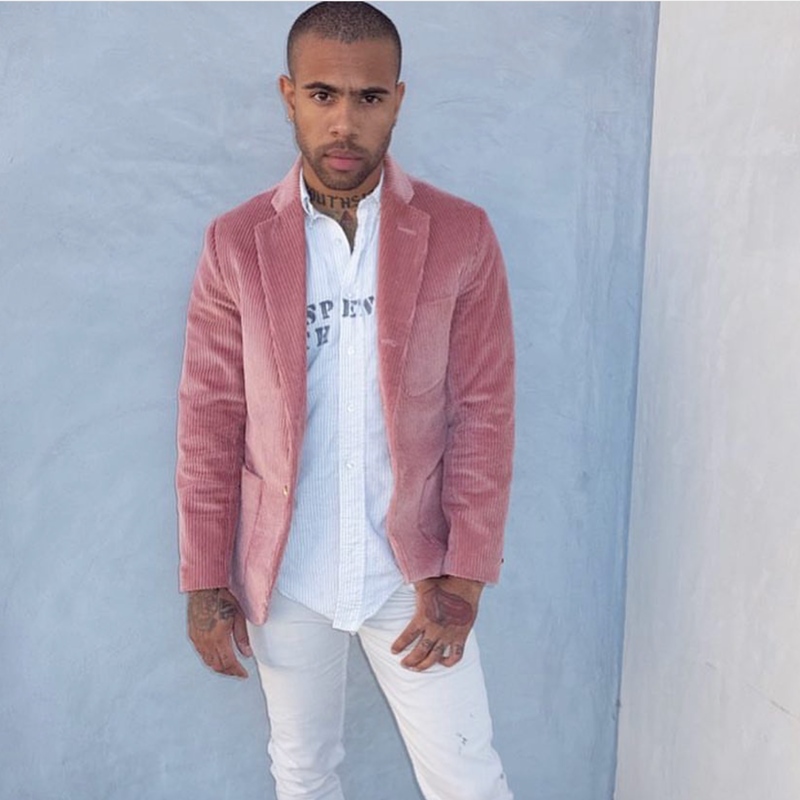 Rapper and songwriter/producer VIC MENSA talks about his ensemble at Paris Fashion Week, the upcoming debut of his 93 Punks jacket line, the time he wore leather pants while horseback riding, and his new EP ‘Hooligans’ – which drops on December 14 – in an all-new episode of Fuse’s popular digital series Mind Massage. The episode posted today on fuse.tv. Fuse’s Mind Massage features ASMR’s (autonomous sensory meridian responses) by some of your favorite hip hop stars as they chow down on their favorite foods and discuss their career, upbringing and more. Fans can check out new episodes from this digital series every week on fuse.tv. Past episodes include appearances by Diggy, Quincy, Jay IDK, Wiz Khalifa and Mya, among others. This entry was posted in Feature and tagged 360 Magazine, apple music, art, ASMR, Canada, Cape Town, Chicago, China, culture magazine, Dallas, design, Diggy, edgy fashion magzine, Fuse.tv, Global Society, hip hop, hov, Indie Music, iTunes, Jakarta, Japan, JAY IDK, jay z, Johanessburg, limewire, London, Los Angeles, Melbourne, Miami, Milan, Mind Massage, music, Mya, Netherlands, New York, newmusic, Paris, quincy, rocafella, San Francisco, spotify, Sweden, Sydney, tidal, Vaughn Lowery, vic mensa, Wiz Khalifa on December 3, 2018 by wp360mag. Diggy Simmons is making a comeback. All eyes are on the return of the twenty-three year old singer and rapper as he has just released his hot new single, “It Is What It Is” following a six year hiatus from hip-hop. Now he’s back with a vengeance and tons of clever messages for this generation of true hip-hop lovers. 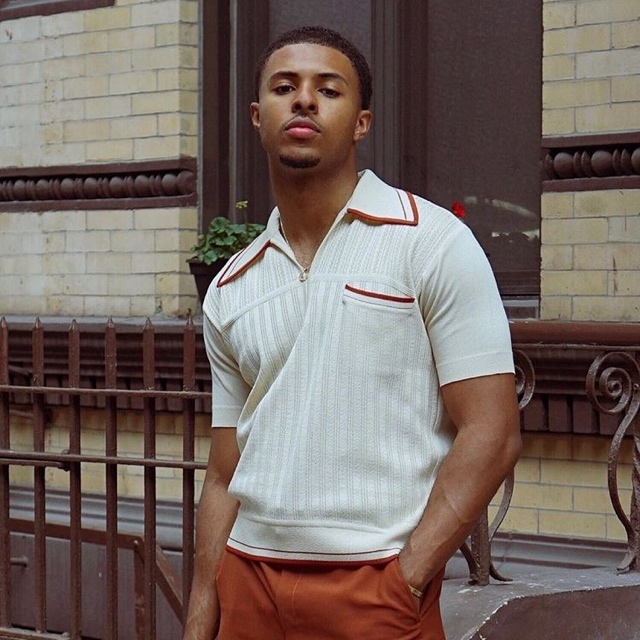 Ahead of the release of his new album, Fuse got the chance to sit down with Diggy to get the latest scoop on his return to hip-hop. It’s on an all-new episode of Fuse’s Mind Massage, which premiered yesterday on fuse.tv. As the son of the legendary Run–D.M.C rapper Rev. Run, Diggy is making his own mark in hip-hop culture in everything from music to the fashion industry. Viewers and fans of Diggy can tune in for this special ASMR to watch him tell all about his new music, favorite vintage fashion items, secrets for Zen living, and much more. Check out his ASMR interview below! Fuse’s Mind Massage features ASMR’s (autonomous sensory meridian responses) by some of your favorite hip hop stars as they chow down on their favorite foods and discuss their career, upbringing and more. Fans can check out new episodes from this digital series every week on fuse.tv. Past episodes include appearances by Quincy, Jay IDK, Wiz Khalifa, Tierra Whack, and Mya, among others. This entry was posted in Uncategorized and tagged 360, 360 Magazine, ASMR, comeback, culture, Diggy Simmons, fashion, fuse, Fuse's Mind Massage, Fuse.tv, hip hop, hip music, music, music album, music single, new music, pop culture, rap, Reid Urban, tv show, Vaughn Lowery, vintage, zen on August 28, 2018 by wp360mag. 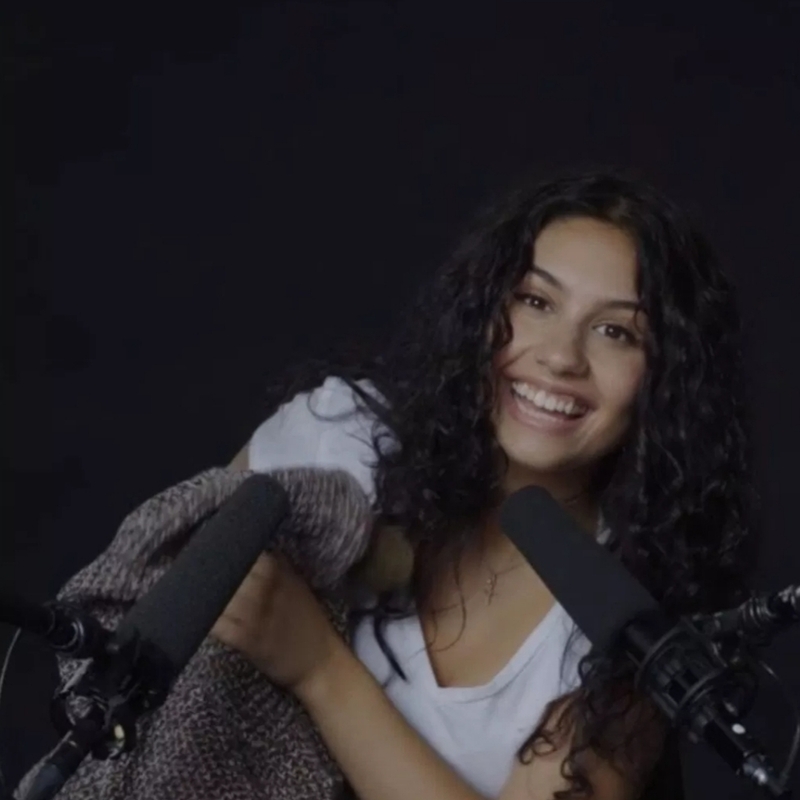 In this Celebrity ASMR interview, singer Alessia Cara explores autonomous sensory meridian response with whispers and sounds. In honor of her songs ‘Sweater Weather’, ‘Here’, and ‘Growing Pains’, her experiences on the Coldplay Tour and at the Grammys, and her role in Moana, Cara plays with a sweater, party streamers, balloons, seashells, her vinyl album ‘Know It All’, and wooden building blocks. This entry was posted in Uncategorized and tagged 360 Magazine, album, alessia cara, America, artist, ASMR, Atrin Yazdani-Biuki, balloons, Cara, Celebrities, Celebrity, Celebrity ASMR interview, coldplay, Coldplay Tour, Grammys, growing pains, Here, hollywood, Interview, Know It All, Moana, music, musician, party streamers, pop culture, seashells, singer, song, songs, sweater, Sweater Weather, tour, us, USA, Vaughn Lowery, vinyl on July 2, 2018 by wp360mag.